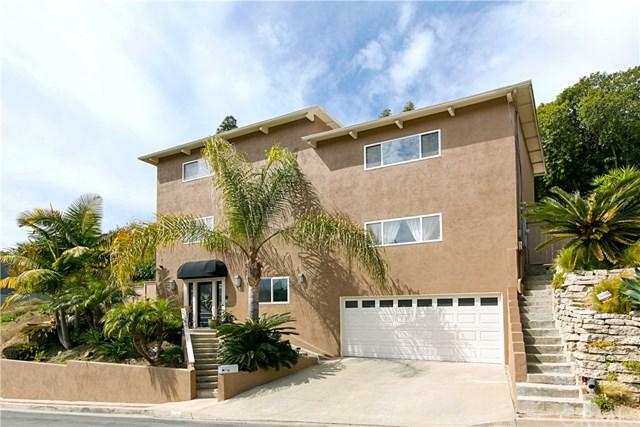 Compare this family home to any other in Laguna Beach for value and livability. This is a finely upgraded and maintained 4 bedroom or 3 plus a den home in the Heart of Temple Hills. Each bedroom features an En-suite upgraded bathroom with custom tile, stone work, jetted tubs, glass enclosed showers & custom fixtures. The home is light and bright, is multileveled but flows beautifully with midlevel bedroom suites. 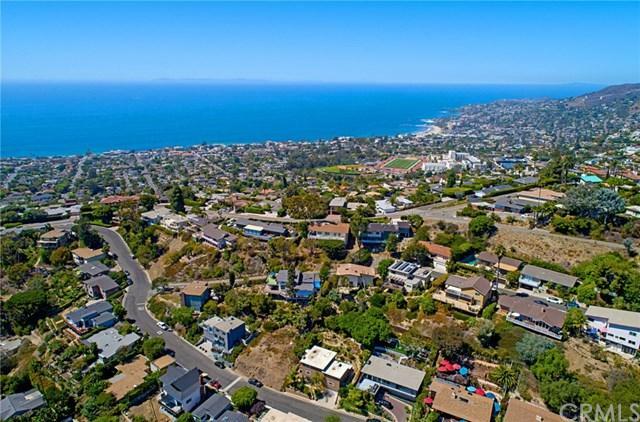 The formal living room includes a Santa Fe style fireplace, travertine floors, Custom entry d Compare this family home to any other in Laguna Beach for value and livability. This is a finely upgraded and maintained 4 bedroom or 3 plus a den home in the Heart of Temple Hills. Each bedroom features an En-suite upgraded bathroom with custom tile, stone work, jetted tubs, glass enclosed showers & custom fixtures. The home is light and bright, is multileveled but flows beautifully with midlevel bedroom suites. The formal living room includes a Santa Fe style fireplace, travertine floors, Custom entry door & French doors which lead to a private den/office, laundry room & wine storage. There is direct access to the attached 2 car garage. The next level opens up to a large family room with dramatic corner fireplace, dining room & custom kitchen. 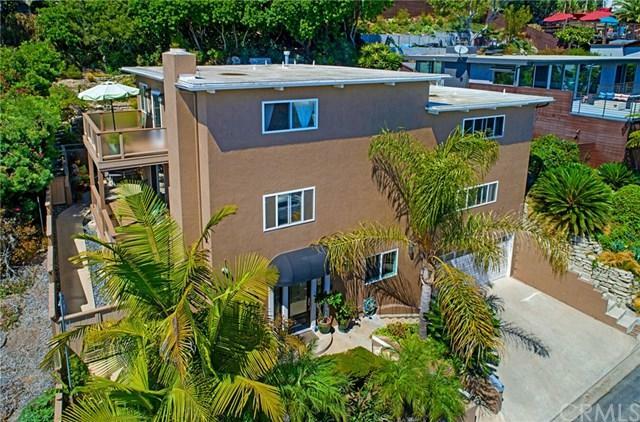 The wood floors enhance the openness & brightness of the room with recessed lighting, surround sound, an ocean view deck and sliding door access to the private rear yard and patio, ambient lit and landscaped. The Chefs kitchen boast light wood cabinets with glass insets, granite counters, lots of built ins, stainless steel appliances and upgraded fixtures throughout. The bathrooms feature Himalayan Snow Slate, skylights & jetted tubs. Brazilian Hardwood floors embellish the upper level master Suite with sitting room, marble vanities, cedar walk in closet & ocean view deck! The home is ready for move in and fast closing is negotiable. 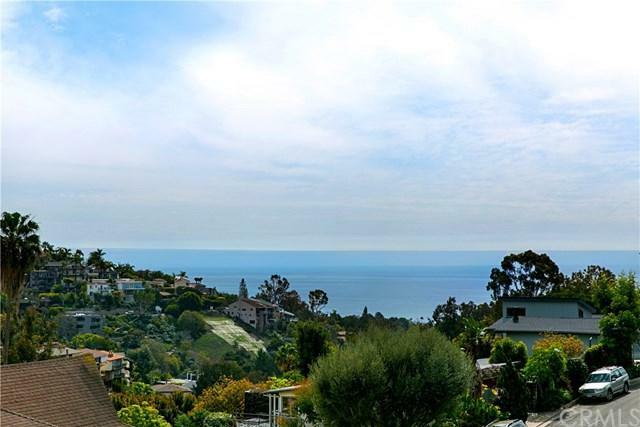 Enjoy this quiet Laguna Beach neighborhood, close to downtown & fine beaches.